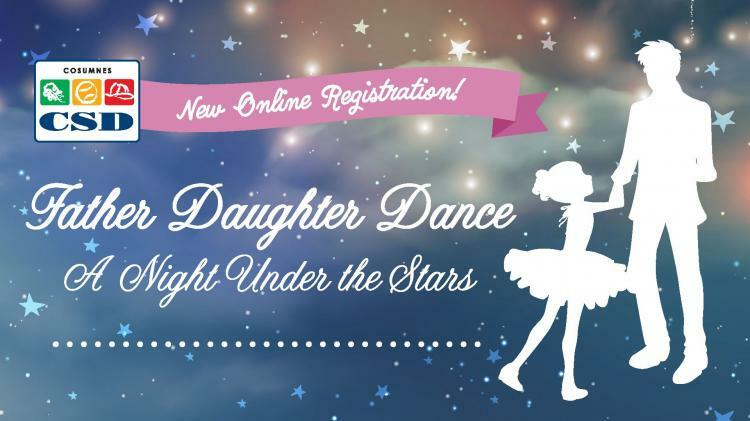 Dads and daughters are cordially invited to the 27th annual Father Daughter Dance series hosted by the Cosumnes CSD Parks and Recreation Department. Don't miss this "Evening in the Mystical Garden" with your little girl! The semi-formal affair includes a catered buffet dinner, dancing, a special activity, and a keepsake for each girl. The event is suitable for ages 3 and up. Cost to attend is $30 per person. Professional portraits will be available for an additional fee. Space is limited and advanced registration is required. Dances will sell out! Register soon at click for details, 916-405-5600, or a CSD registration location: 9355 E. Stockton Blvd., suite 185 or 9014 Bruceville Road.